You had better be ready for some football with our Inflatable Field Goal Challenge! 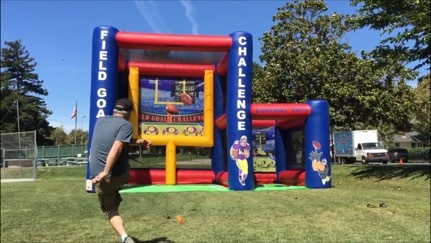 Our Inflatable Field Goal Challenge has a goal post on one side and a quarterback toss area on the other. Now you can practice both your punting and passing in the same inflatable. No other inflatable allows for both punting and passing in the same inflatable!